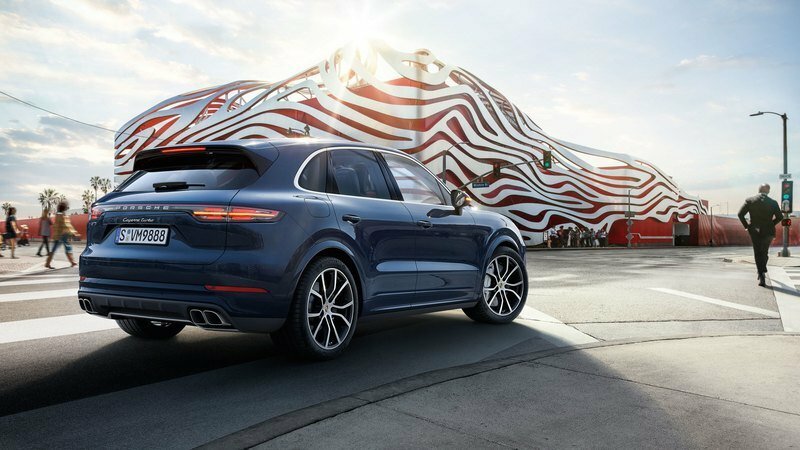 Porsche introduced the third-gen Cayenne in August of 2017 with a mildly revised exterior, new technology, and a revised engine lineup that’s good for 340 ponies in base form or 440 ponies in S form. 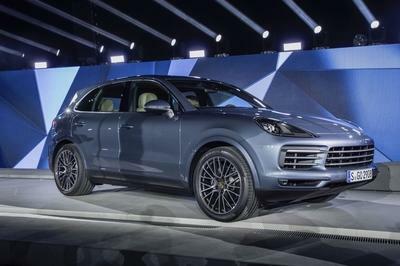 At the time I reviewed the new Cayenne, I speculated that Porsche would have to come up with a solution for the Turbo model as it needed to squeeze a considerable amount of extra power from that 2.9-liter V-6 or would have to go with a V-8 as it has in the past. 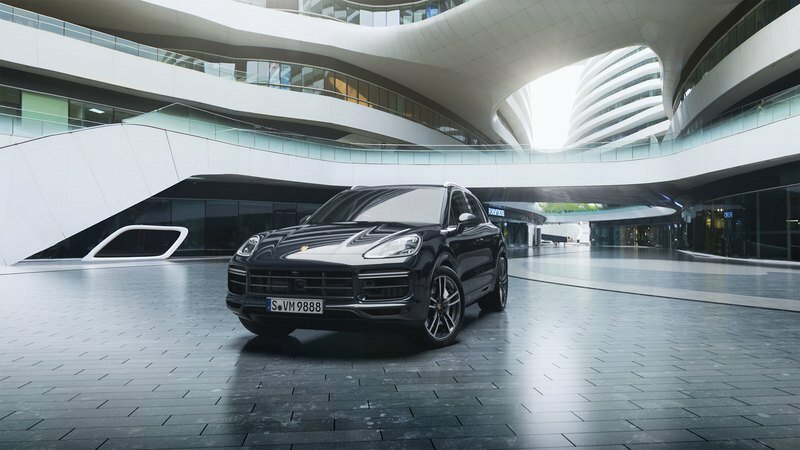 Just a couple of weeks after the third-gen Cayenne debuted, Porsche showed up to the Frankfurt Auto Show with the new Cayenne Turbo, and as it turns out, I’m better than Miss Cleo, as the new Turbo sure does make use of a V-8 that’s good for 550 ponies – an improvement of 30 ponies and there’s some extra torque on tap too. More importantly, however, is the fact that this V-8 is new, and displaces 4.0-liters – about 800cc less than the V-8 in the last-gen model. Of course, there’s not a lot of difference between the base, S, and Turbo models, but there are a few differences to point out. 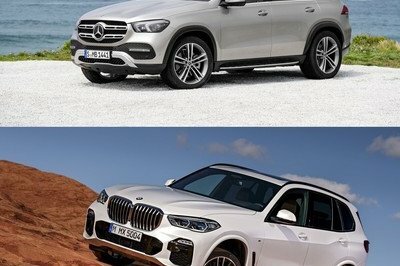 It does get the same headlights and the same general fascia, however, those side intakes are much larger on the Turbo model, and the grill traverses the full width between the side intakes instead of being split by the fascia on the ends. 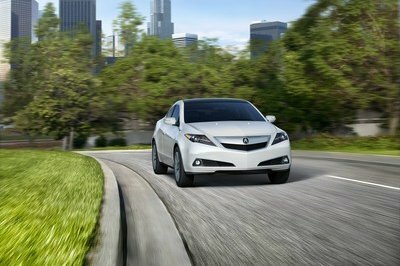 There are no fog lights to speak of up front, and the radiator grille itself is much more open in comparison. In the rear, the only real differences include the rear diffuser, which is now more defined and the square exhaust outlets. 21-inch wheels that are exclusive to the Turbo model can be found in each corner and match the wide wheel arches quite nicely, I might add. But, there’s more than exterior looks to talk about here, including some nice extras inside and that new V-8 under to hood, so let’s talk more about that. 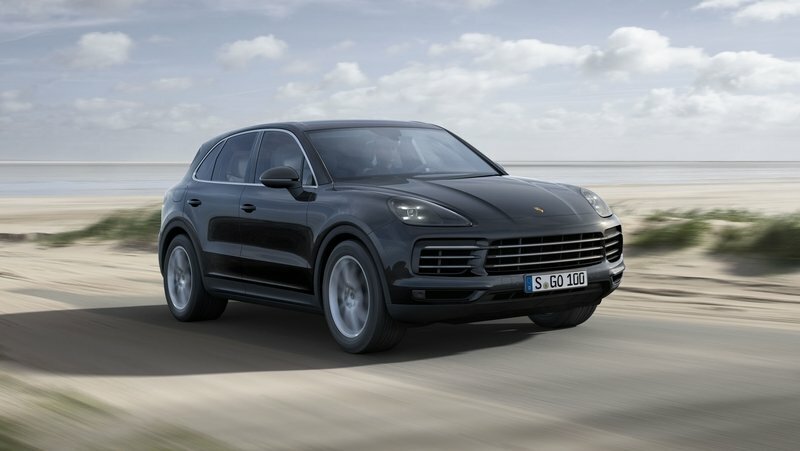 Check it Out: The Third-Gen Porsche Cayenne Leaks Before its Official Debut!!! 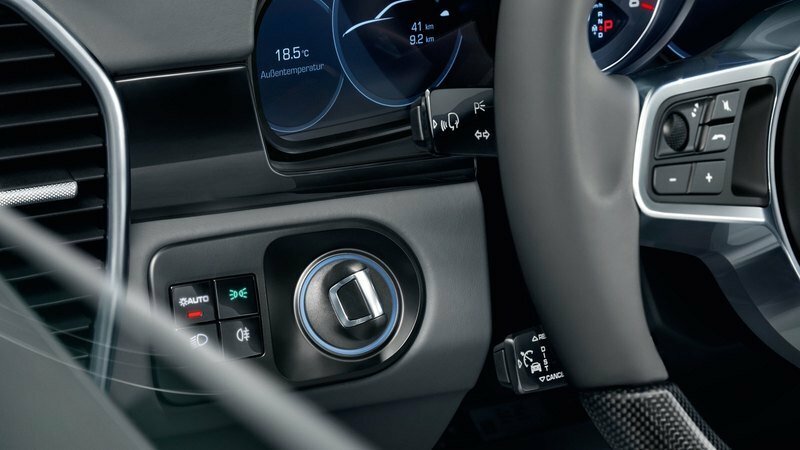 The instrument cluster is flanked on the right by the 12.3-inch infotainment and navigation display that’s placed ever so elegantly in the center stack. There’s nothing to visually set the Turbo apart from the base or S model inside, aside from some different materials thrown about here and there. Ahead of the driver sits a unique instrument cluster that’s composed of a single analog gauge in the center with a seven-inch digital display on either side. The instrument cluster is flanked on the right by the 12.3-inch infotainment and navigation display that’s placed ever so elegantly in the center stack. What’s really cool about this setup, however, is that most of the vehicle functions can be displayed and controlled via the main display. 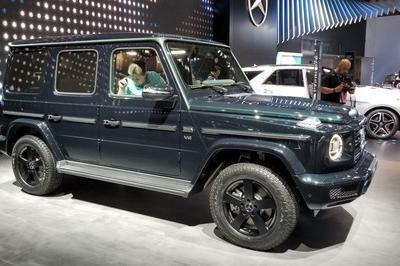 Standard equipment includes a 710-Watt Bose sound system for those of you that like to go bump bump and tweet tweet, along with 18-way sport seats, heated seats in the front and rear (only the outboard rear seats,) heated steering wheel, and integrated headrests. 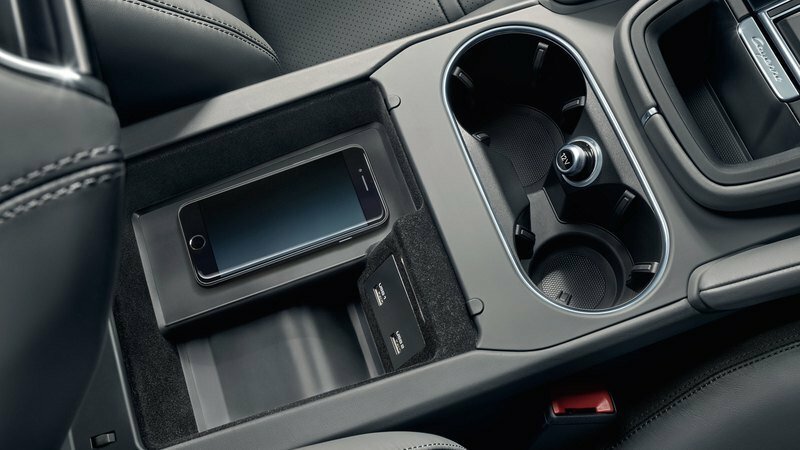 In all reality, this isn’t really all that much, but it’s just enough to put the Turbo ahead of the base and S model as far as interior amenities go. Under the skin, there’s even more goodness to be had. First off, the new Cayenne gets a lightweight chassis that shaved a few pounds off the outgoing generation, so when you pair that with the new three-chamber air suspension, active suspension management, and active shock absorbers, you’re looking at a very smooth ride with great maneuverability that’s usually reserved for low-riding sports cars. Thanks to this updated suspension system, the onboard computer system can cover a wider range of spring rates than before, not only help to ensure a smoother cruise but better body stability during more spirited driving. 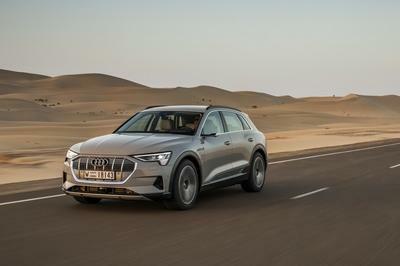 There are six different height levels that can be set manually or by the five new driving programs that include mud, gravel, sand, and rocks. Because you’re sure to take such an expensive SUV off road, I’m sure. 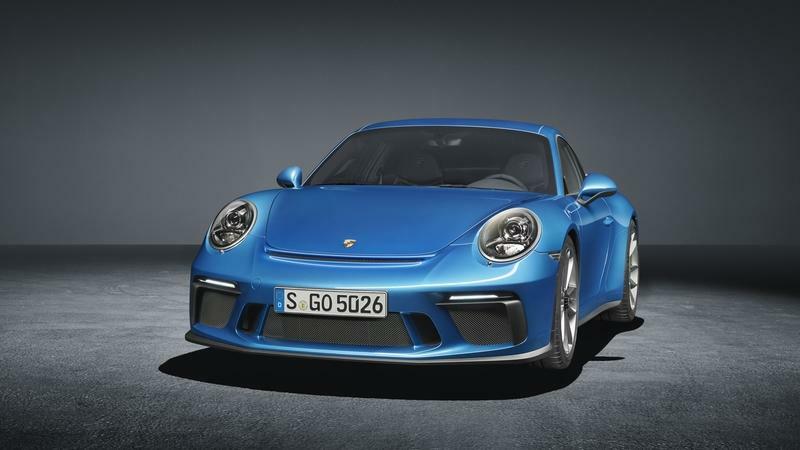 Rear axle steering is also included as well as Porsche’s chassis control system and Torque Vectoring Plus. Porsche even went so far as to include staggered tires with 285/40-series tires up front and 315/35-series tires in the rear, which should help improve handling in more intensive driving situations. All told, you can hit 60 mph in as little as 3.9 seconds or 3.7 seconds if you opt for the Sport Chrono package. What you really care about though, I’m sure, is that new 4.0-liter V-8 crammed under the hood. It displaces about 800 cc less than the outgoing 4.8-liter mill but is more powerful at 550 horsepower and 567 pound-feet of torque. For those of you that aren’t aware, that’s an improvement of 30 horsepower and 14 pound-feet over the outgoing V-8. Not a bad improvement for a smaller engine, huh? Shifting duties are handled by Porsche’s new eight-speed automatic with traction management and all-wheel drive. All told, you can hit 60 mph in as little as 3.9 seconds or 3.7 seconds if you opt for the Sport Chrono package. That makes the Turbo 0.1 seconds faster than the previous Turbo S and includes a top speed of 177 mph if you hit the track and push it to the limit. Like most Porsche vehicles these days, the 4.0-liter includes a pair of turbos that are mounted in the “V” between the cylinder heads. And, for those of you who know stopping is just as important, the active spoiler out back helps to short braking distances and is a nice complement to the surface coated brakes. This brake system includes cast iron rotors that are coated with tungsten carbide to cut back wear and increase performance. Of course, if you really want to send your passenger’s face into the dash, you should probably opt for the ceramic composite brakes, known as PCCB, which will offer even better-stopping performance. So, now that the new Cayenne Turbo is here, do you think you would pony up the extra cheddar for it, or would you rather go with the standard Cayenne in base or S form? Let us know what you’re thinking in the comments section below.